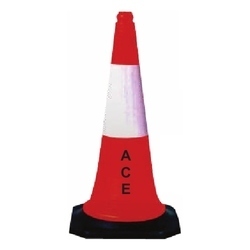 Our product range includes a wide range of plastic cones, safety cones, road safety cones, pvc traffic cone, reflective traffic cones and rubber traffic cone. Providing for high visual visibility, flexible usage, these Plastic Cones options are available in durable construction finish. 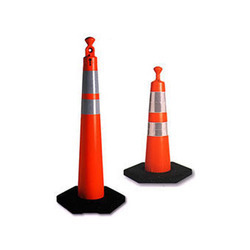 Lasting longer in comparison to other similar options available in the market, these heavy duty traffic cones come in highly visible orange color finish and PVC construction that makes these maintenance free from issues like cracking and fading. Available in height of 750 mm & square base of 380 x 380 mm, these two part cone with outside rubber finish has total weight of around 3 kg, thus providing for optimum stability even in rough usage conditions. Some of the end applications these are used in include for temporary barricading at hospitals, railway stations, airport and other similar places, for center lane division, for creating diversions on roads, for demarcating of parking zones as well as work zones among others. Temporary barricading at Hotels, hospitals, Railway Stations, Air-port, Bus terminals etc. We are a leading name in the area of road safety goods and Safety Cones from our side is a good example of the same. These products from our side are cone-shaped markers that are placed on roads or footpaths to temporarily redirect traffic in a safe manner. These are provided to the clients at reasonable rates and as per the industry norms as well. Total weight: 1.30 kg approx. Road Safety Cones are often used to create separation or merge lanes during road construction projects or automobile accidents, although heavier, more permanent markers or signs are used if the diversion is to stay in place for a long period of time. These are designed to be highly visible and easily movable. These are made available at affordable rates as well. Total weight: 4. 5 kg approx. Providing for enhanced visibility and safety of the workers, these PVC Traffic Cone help in creating suitable diversion on roads for pedestrian/vehicular traffic. Made from superior grade Polyvinyl Chloride (PVC), these come painted in fluorescent orange coating that provides for optimum daytime/nighttime visibility. Further, these cones are easy to move and handle thus making it easier to deploy at preferred locations. Coming with options of fluorescent color and reflective collar support, we make these available in height of 750 mm, square base of 385 x 385 mm and in total weight of around 4.5 kg. As single part cone with rubber insert support, these can be made available with optional support of cone lights, strobes as per the specific preferences of customers. 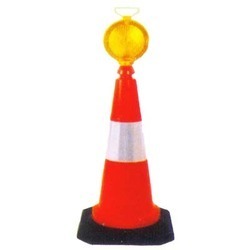 Working as a caution for drivers and pedestrians for demarcated area, these cones are suitable for applications like for creating center lane division/road diversions, for specifying temporary parking zones, for barricading at hotels, airport and other similar places. 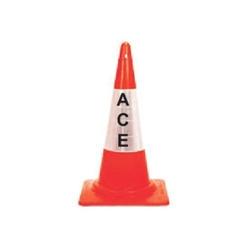 Reflective Traffic Cones are available in durable construction finish. 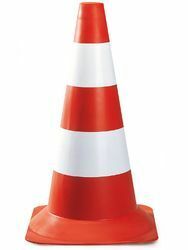 Lasting longer in comparison to other similar options available in the market, these traffic cones come in highly visible color finish and PVC construction that makes these maintenance free from issues like cracking and fading. These are suitable to be used in areas like highways, parking lots and other similar places. Total Weight: 5.2 kg approx. Providing for superior day and night visibility, these Rubber Traffic Conechoices offered are manufactured from polyvinyl chloride that makes these durable and suitable for use in all weather conditions. Suitable to be used in areas like highways, parking lots and other similar places, these traffic cones come painted in brilliant fluorescent coating that provides for suitable protection to workers as well as pedestrians/people approaching the area. The durable construction quality of these cones also makes them maintenance free. With choice of customization in terms of finish style and size, we make these available in height of 750 mm, square base of 385x385 mm and total weight of around 1.3 kg. 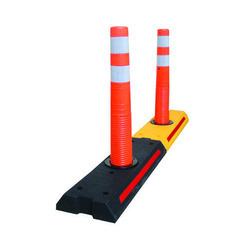 As single part cone, these are suitable to be used in applications like center lane dividing, creating diversions on roads, for demarcating of parking zones/no entry zones/work zones. 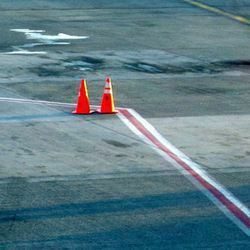 Other than this, these cones can also be used for achieving temporary barricading at places like hotels, railway stations, bus terminals and other similar places. 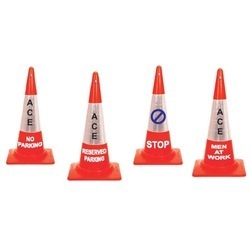 Single piece construction traffic cones are ideal for putting company logo or message. No Parking Cones, Reserved Parking, Stop, Men At Work, Go Slow Cones etc. You can always get your own message printed on our cones. 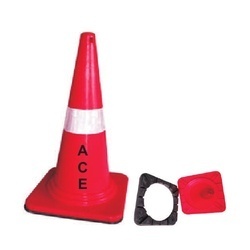 Ace Polymers (India) is one of the leading manufacture, trader, wholesaler, retailer distributors of Traffic Cone, Road Safety, Industrial Safety and Roto moulded range of Dustbins, Water Tanks and Industrial containers. 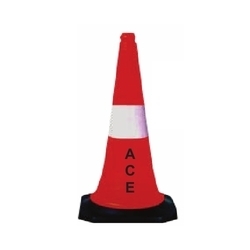 Ace Polymers (India) is one of the leading manufacture, trader, wholesaler, retailer distributors of Traffic Cones, Road Safety, Industrial Safety and Roto moulded range of Dustbins, Water Tanks and Industrial containers.